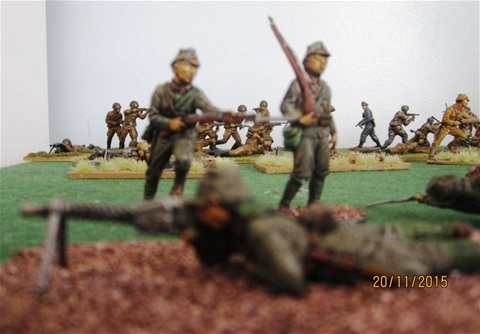 Japan invaded Manchuria in 1931, and was at war continually from that year until the final surrender to the Allies in 1945. Consequently by 1942 the uniform was very practical and simple. 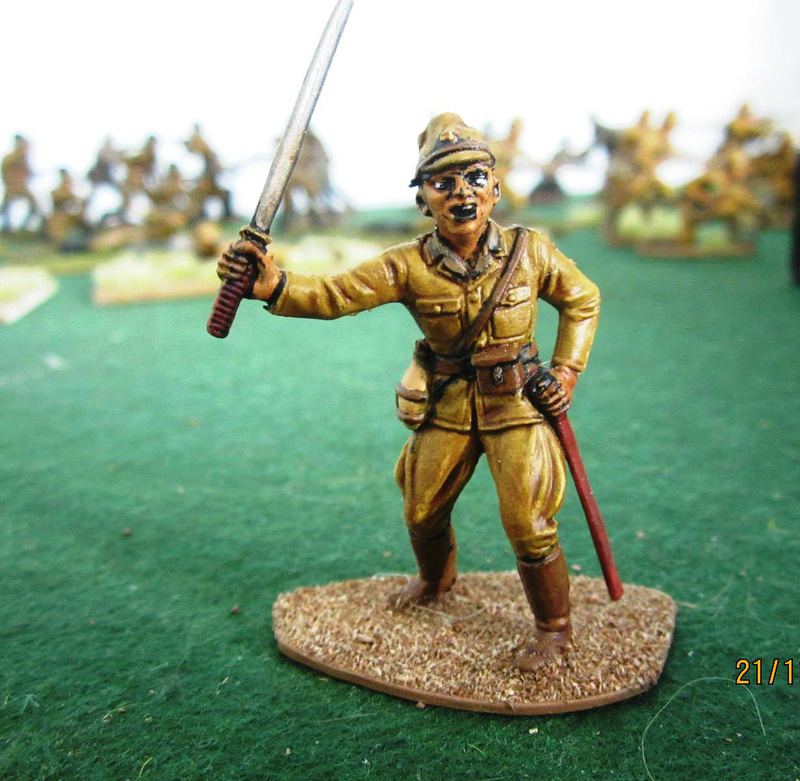 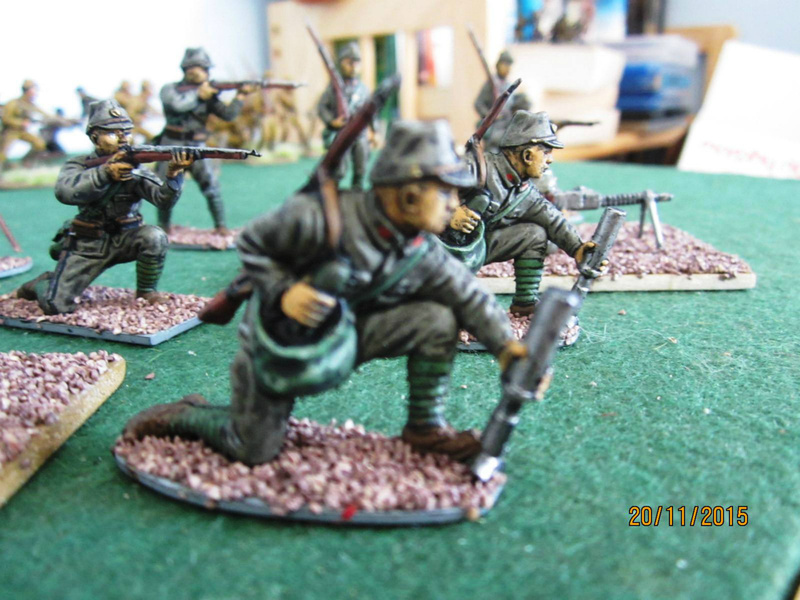 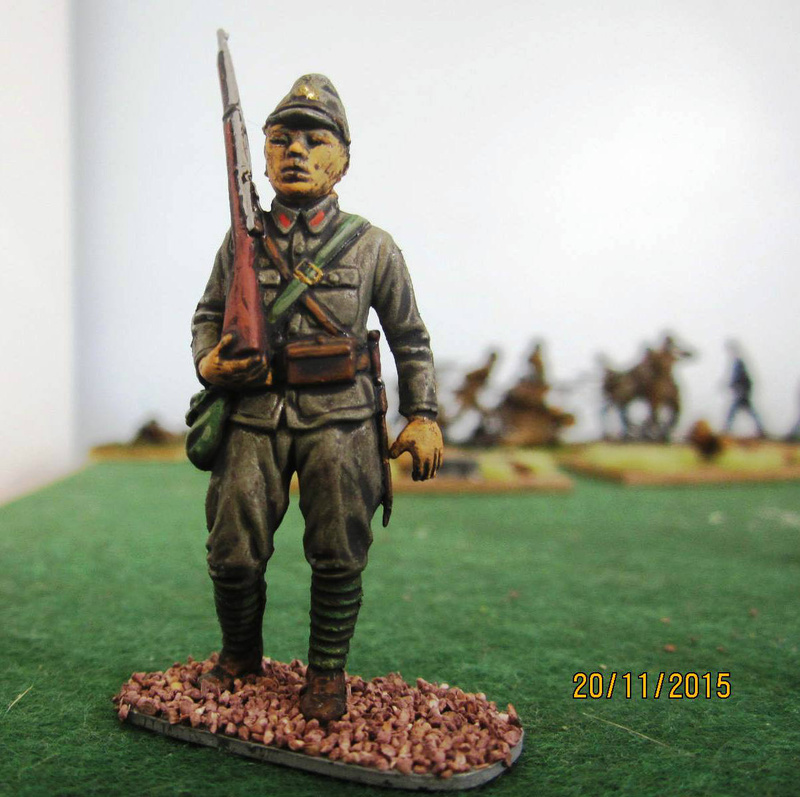 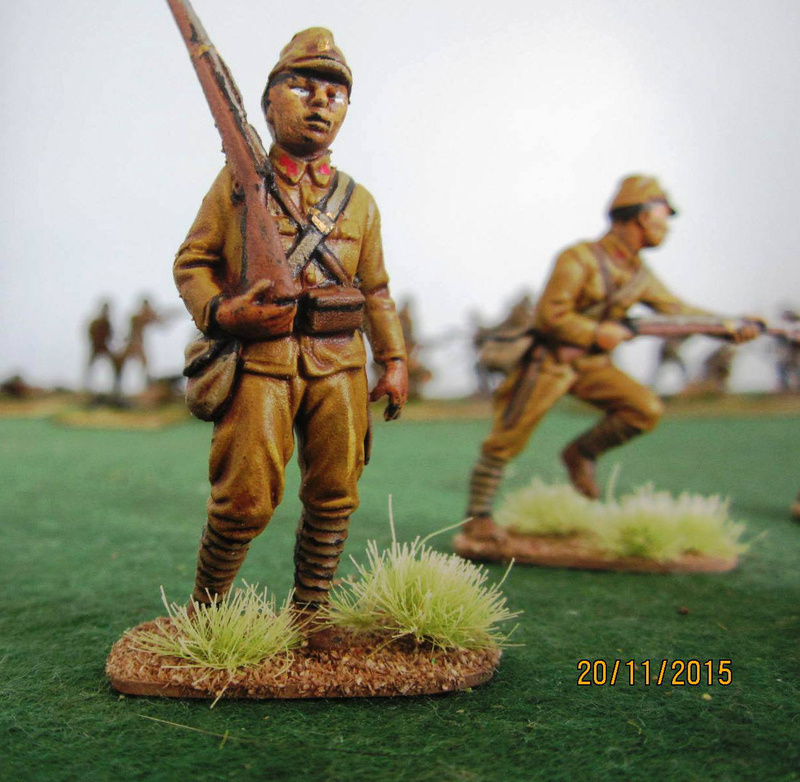 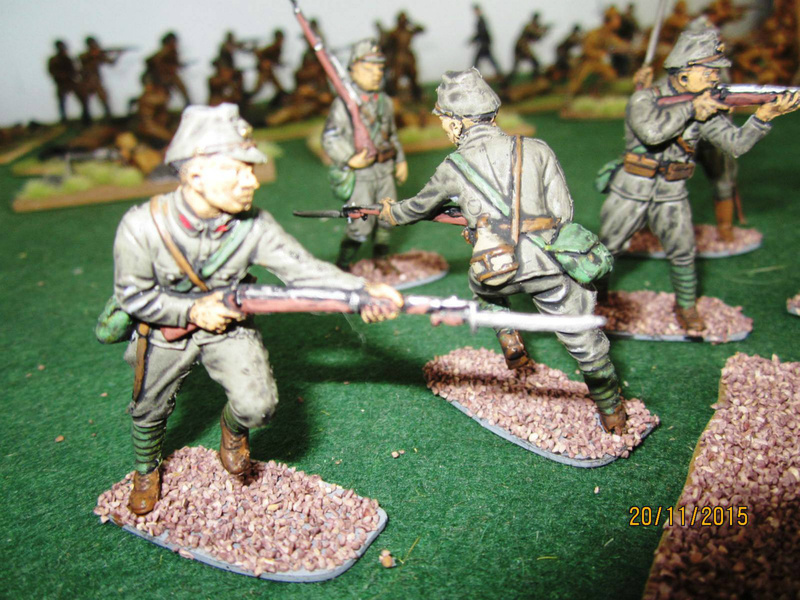 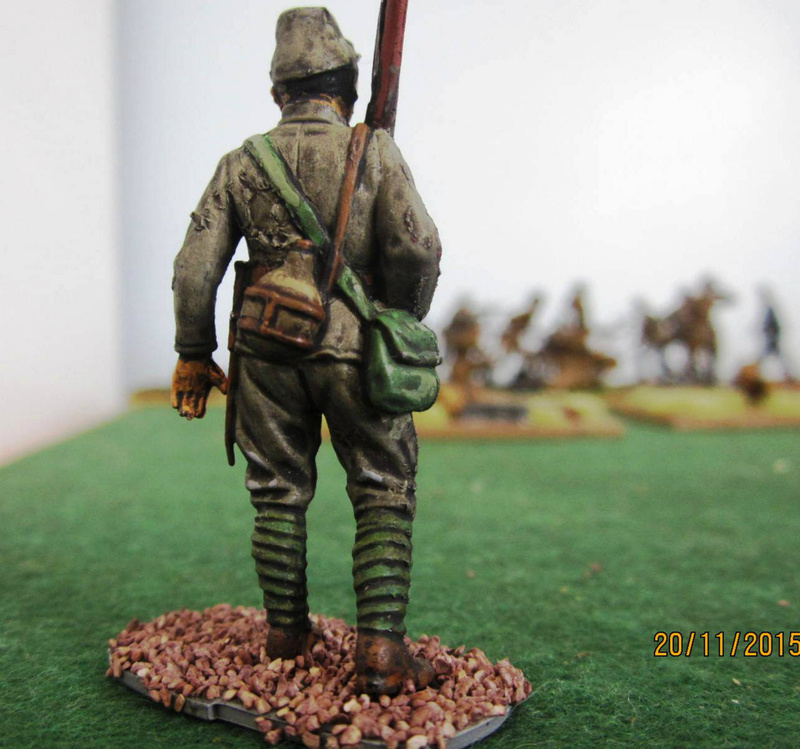 All these figures wear the very common type 98 uniform, which was introduced in 1938. 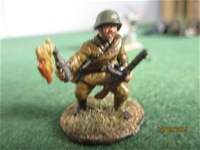 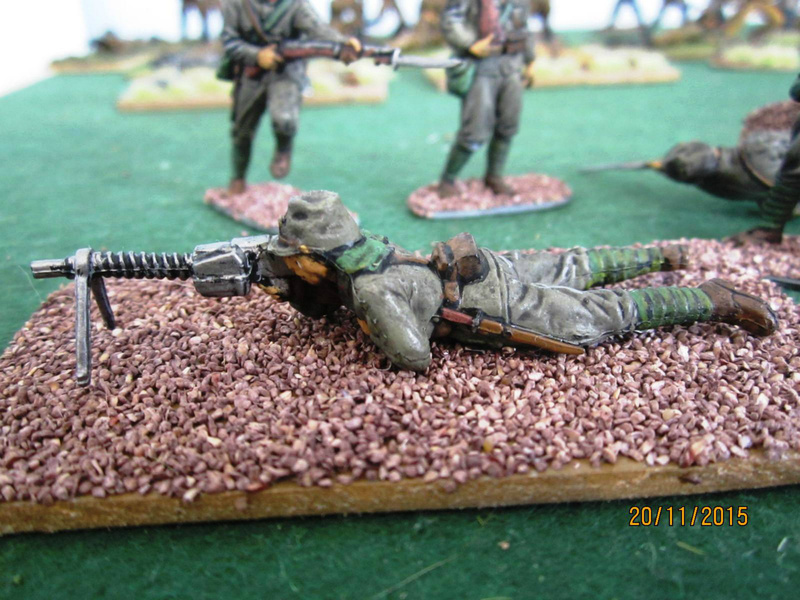 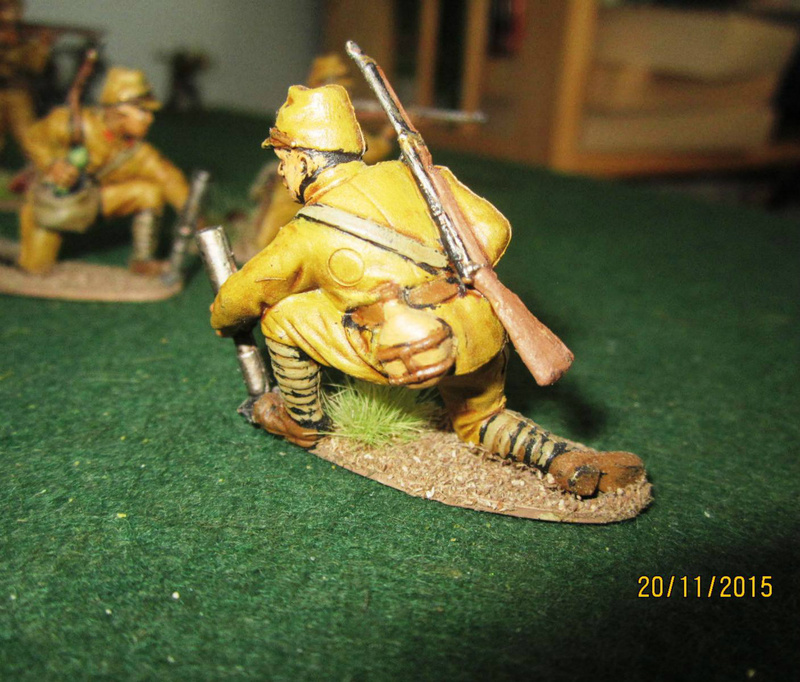 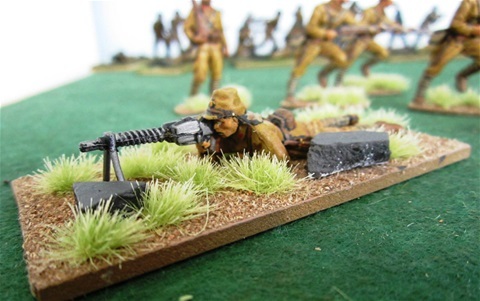 The machine gunner is wearing the sun curtain which was made of four pieces of cloth hanging down the back of the neck.